The great cover-up. Goodbye to gray & thin spots. A must for in-between salon visits. This quick-color coverup masks thin spots and conceals root regrowth on the fly. Pen-style applicator features a precision sponge tip to deposit seamless color where it's needed most to make your hair look lush, full and salon-fresh. Customize your coverage, layer a little or a lot. The cap contains the color to keep it mess-free and easy. TRUHAIR wants to turn every day into a great hair day, no salon necessary. 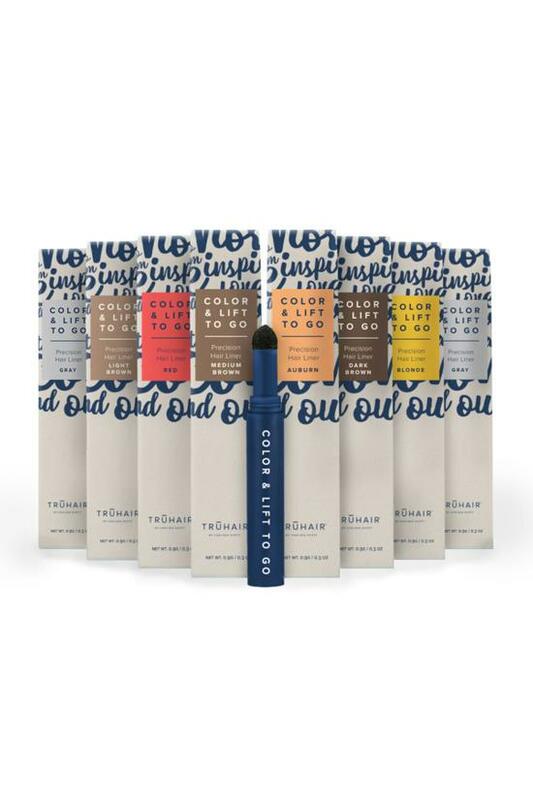 Their groundbreaking line of haircare solutions instantly remedies your haircare woes (pop-up grays, root regrowth, color fade and volume loss) with advanced formulas combining skincare-quality ingredients and natural extracts. Get professional-looking, luscious locks you TRU-ly will love.